Hello Blizzplanet readers, unfortunately some technical difficulties have gotten in the way of my write-up about Shadowmoon Valley as shown at BlizzCon 2013, so in the meantime let’s look at another important topic. Just when are we going to get to Draenor, anyway? Now that I’ve gotten home from one epic Blizzcon, let’s go over some substantial changes coming to raiding in 6.0! 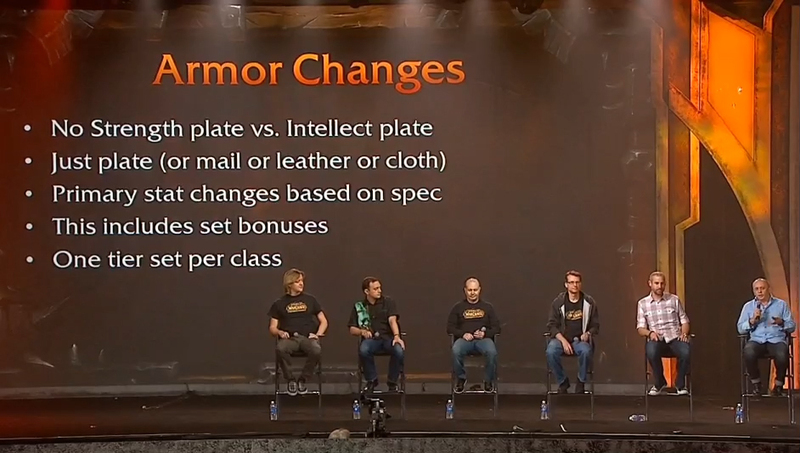 One of the biggest announcements for Warlords was that armor pieces will now change stats according to spec. Plate is plate, mail is mail, leather is leather, cloth is cloth. Here’s an example: I have a Pandaren monk who starting 6.0 will have leather with agility stats in my Windwalker spec. If I change to my other spec, Mistweaver, it will change agility into intellect the moment the spec cast bar completes! Same goes for Brewmaster, which would shift to armor emphasis as a tanking stat. 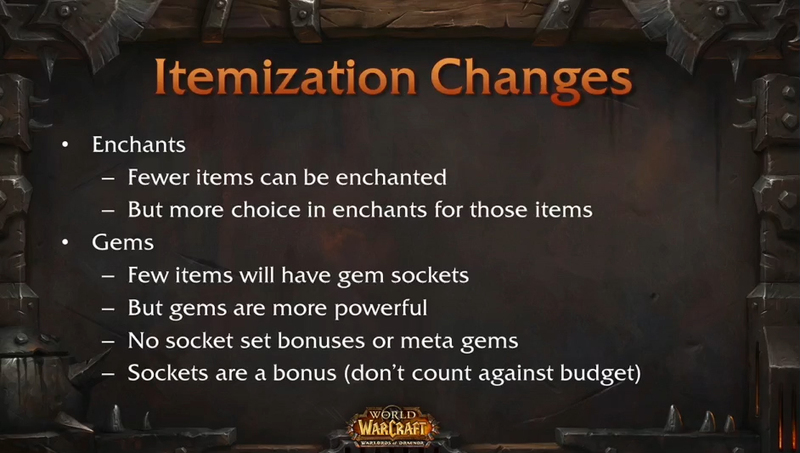 This change also includes Tier bonuses for each spec as well! What impact does this have on WoW? It means a few things: raids will gear up faster, with no more hunter mail drops that an elemental shaman can’t use for their primary spec. 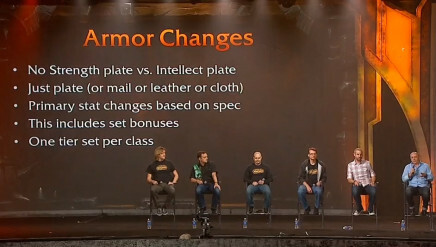 A cat druid will no longer skip on intellect gear, its leather armor pieces will change stats for all roles! 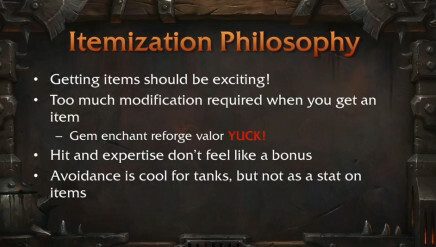 There will still be non-armor gear (such as trinkets) that will be role specific, but as a whole this will be a very welcome change to how gear works. My Ret Paladin can actually consider tanking without being in tanking armor that is more suitable for two or three raid tiers prior. Alternate PvE specs will likely get a lot more use now that players can try out new roles on a more competitive ilvl. Imagine having your 4 piece set bonus and switching to Prot! 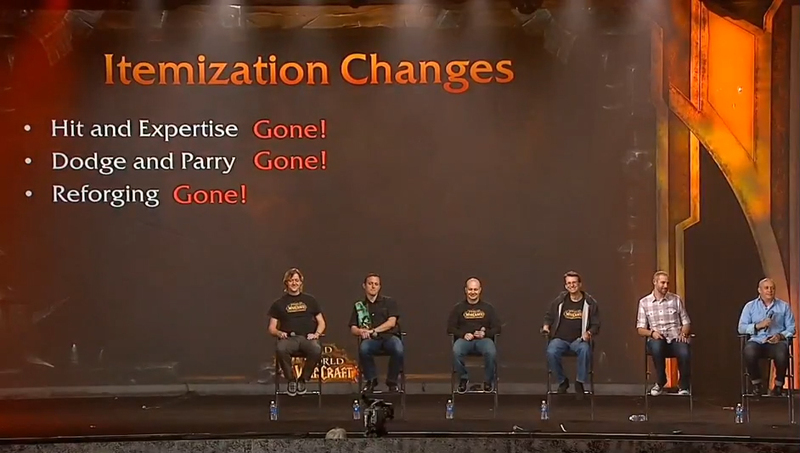 This change will also apply to PvP, which is a welcome change for many classes. Speaking of PvP, a very welcome change is coming that will have people using the same Arena gear. No longer will you struggle in rated Arenas while you earn enough Conquest points to become competitive. 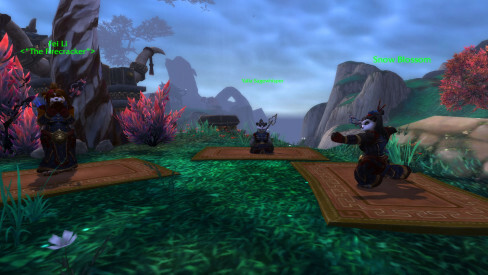 Along with the resilience changes in Mists of Pandaria, this poises PvP to be skill based. Do you prefer flexing your PvP gear muscles in the outside world? That gear is still available for purchase, but will not function in ranked games. 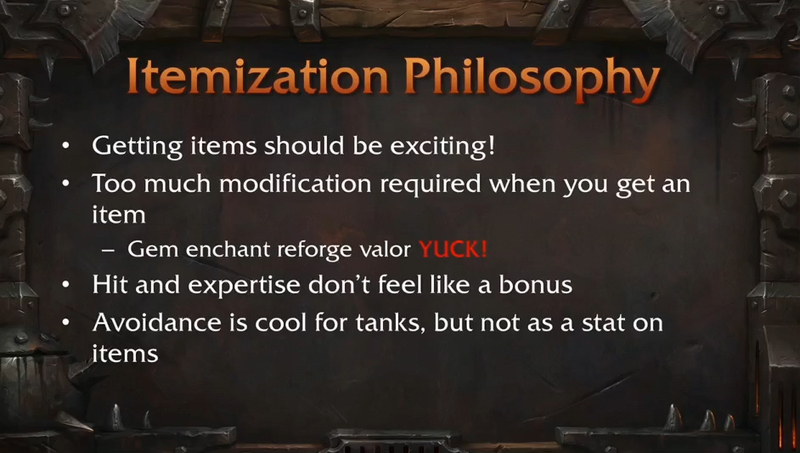 1) Reforging: Removed! Blizzard felt it was too much of a penalty without enough fun to it. It caused people to hesitate on gear, fearing the cascade effect that so many of us are familiar with. 2) Gems: Less items will have gems, but they will increase in potency. I like this change because it makes gems feel special and more manageable for switching specs. 3) Enchants: These have also been reduced, which will make us feel them more as well as make gear less expensive to play with different specs. 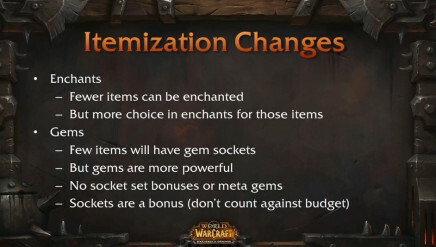 4) What about Jewelcrafters’ and Enchanters’ pocketbooks? Blizzard stated that they will be creating new ways for them to make money, minimizing the economic impact for those professions. A couple of other things. As I mentioned above about Brewmaster, armor will now be the primary tanking stat as Blizzard really likes active mitigation going forward. Hit, and expertise will no longer be a factor as they have been removed! 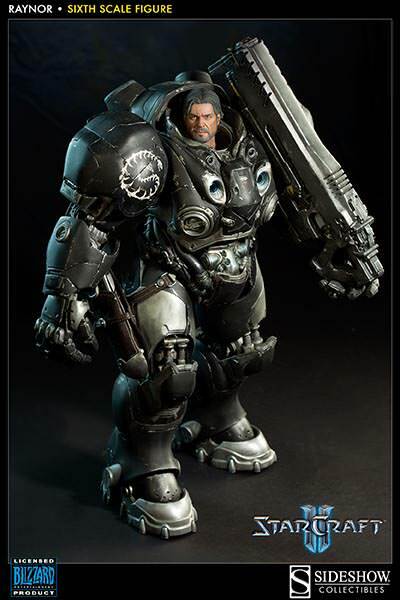 The sigh of relief in the room when this was announced was universal. 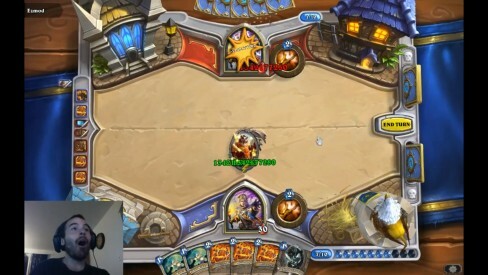 It appears that Blizzard’s philosophy for this expansion is to really remove obstacles and things that are useless wastes of time (looking at you hit and expertise) so we can maximize our time playing. Next up we will be discussing the exciting raid size and name changes! What are you most excited about? 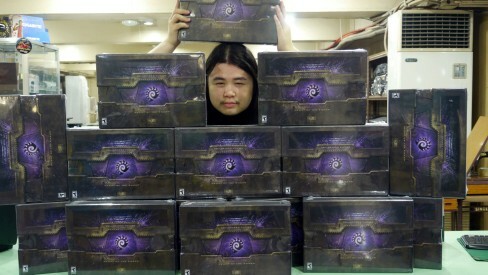 Greetings everyone, my name is Andy “Pandy” Go, I am very happy and thrilled that I am now part of the Blizzplanet Team. 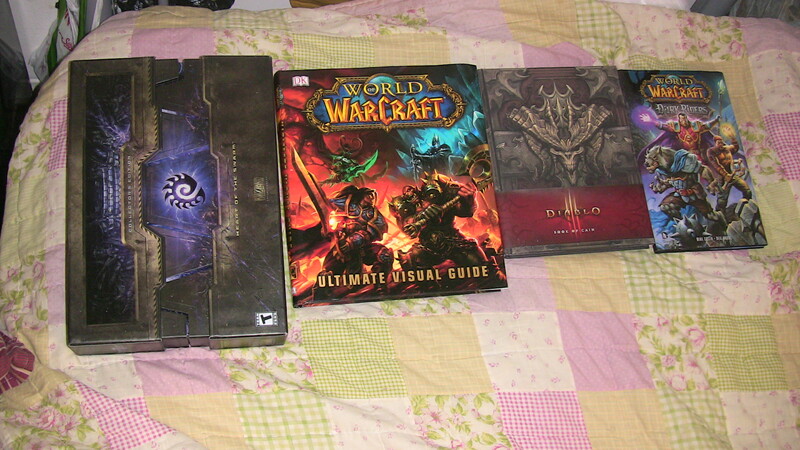 I have always been a loyal fan to Blizzplanet ever since the website started back in 2003. I have always been a huge Blizzard fan from Starcraft to Diablo to Warcaft and now Hearthstone. 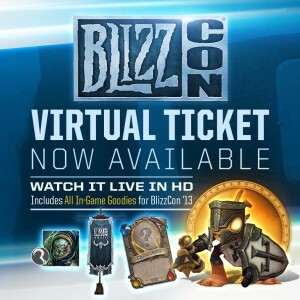 I hope to provide you all the in-depth information and latest news of all Blizzard Games, and mainly Hearthstone. 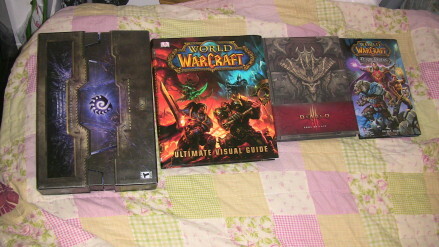 What it means to be a true blizzard fan..
Blizzard Entertainment shipped me a copy of World of Warcraft: Bloodworn — written by Doug Wagner (WITCHBLADE/RED SONJA ) and artist Jheremy Raapack (DC Comics Injustice: Gods Among Us ). The tribes of the centaur have banded together and begun attacking Horde farms, villages and outposts without mercy or provocation. They murder every man, woman and child. What could bring these volatile tribes together? What are the centaur more afraid of than the imposing armies of the Horde? ”Lok’tar ogar! Victory or death – it is these words that bind me to the Horde. For they are the most sacred and fundamental of truths to any warrior of the Horde. I give my flesh and blood freely to the Warchief. I am the instrument of my Warchief’s desire. I am a weapon of my Warchief’s command. 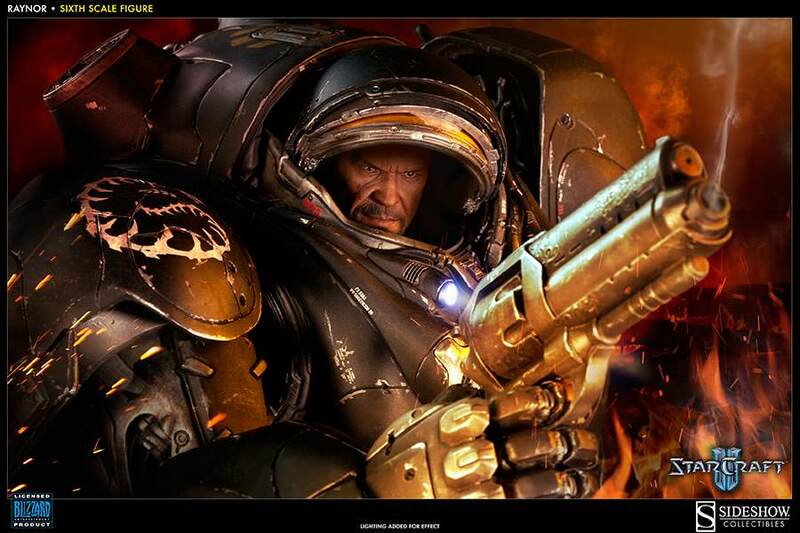 Right away the reader knows the story starts shortly after Deathwing’s Cataclysm. Garrosh has ordered the creation of the Garad’kra – a militia that will spread across all Kalimdor to report any enemy transgression into Horde territory, a militia able to act swiftly and in unison. The warchief Garrosh Hellscream killed the leader of the tauren in a duel, allowing the grimtotem tauren (a dissident faction among their race) to capitalize on the opportunity and seize control of Thunder Bluff. Garrosh neither aided nor hindered the grimtotem, who were eventually deposed and driven out of the tauren lands, but this left the tauren less trustful of the Horde as a whole. Despite the events, the aged Ironhoof longs to prove he’s still a strong warrior and an asset to both the tauren people and the Horde. The self-proclaimed “Forsaken” are an undead faction within the Horde. Its members have made several contributions to their allies, but have placed their own secretive agenda ahead of duty to the Horde in the past, a recent treachery from within the forsaken’s own ranks has made the Horde even more distrustful of their undead allies. Felgrim has grown weary of the suspicion directed towards him and reacts harshly to any sign of it. 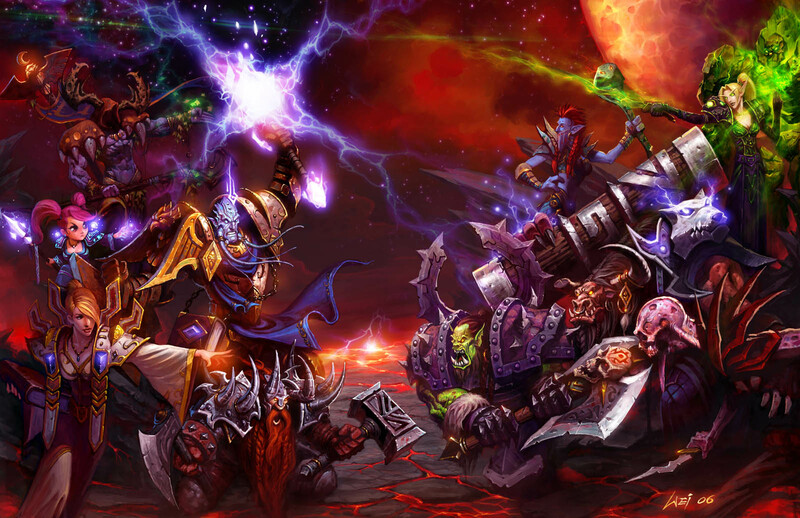 Although the Darkspear trolls served the Horde faithfully since Thrall’s arrival on Kalimdor, Garrosh saw them as weak and pushed them aside to make room for stronger allies. 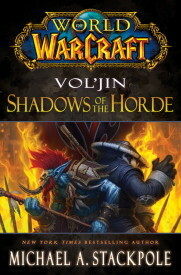 The Darkspear leader Vol’jin, threatened Garrosh and returned to the Echo Islands with most of his people, but ultimately was convinced to stay with the Horde despite growing tensions. Rada’jin believes the answer is to prove how powerful the trolls can be, and as a shapeshifting druid he aims to do just that. He will show the Horde’s leaders that his tribe is a strong ally at any cost. Betrayal in their hour of greatest need drove the blood elves from the Alliance quickly discovering that their race could not survive without the support of allies and having no viable alternatives, these elves swore allegiance to their former enemies: the Horde. Ashra endeavors to elevate his people within the Horde, as he personally believes the orcs are using the blood elves for their own machinations. A shaman is called to seek harmony between the elements and themselves; an ancient tradition of the orcs that was reawakened when Thrall reformed the Horde under his leadership. Shagara honors the ideals the former warchief upheld during his time as its leader, even when her new companions pursue their own goals over serving the greater good. Although he was a soldier in the Horde when they invaded Azeroth, Malgar felt he was a slave to the Horde’s masters and the demonic corruption that fueled them. When the Horde fell, Malgar was placed in a prison camp with other survivors. Thrall freed the orcs and took them to a new land, but now Malgar wants nothing more to do with the Horde. He wants the freedom to make his own way without the burden of serving others. Doug Wagner has a very interesting story going on in World of Warcraft: Bloodsworn. It’s mostly focused on the centaur threat and the banding of a special Horde strike team. A dysfunctional one. 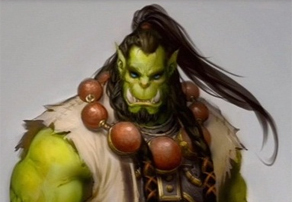 Malgar is an orc hunter who used to be one of the corrupted orcs coming through the Dark Portal alongside Warchief Blackhand, and faced time in the internment camps. He doesn’t want nothing to do with Orgrimmar and the Horde. He won’t serve anyone. A blood debt with Ironhoof bound him into this militia venture when the tauren warrior saved his hide during a centaur attack. The shaman lady orc Shagara is the leader of this team. The Undead Warlock Felgrim has to deal with hatred from other Horde races because of what Putress and his forsaken did at the Wrathgate. He has a deep regret crawling within his hollow skull. The blood elf guy lives in turmoil every single day of his life due to an important loss suffered presumably when the scourge invaded Quel’Thalas. Criticism should be part of all reviews. There should be more about each character and revelations. It’s important to develop characters with a rich background. It’s a graphic novel, not a series, so in part due to frame space it’s nigh impossible to cover all the characters and still maintain a plot and a climax. Yet, there was enough individual character spotlight about their own inner-demons, there was a slight revelation about Felgrim the forsaken warlock which cements him into in-game events. 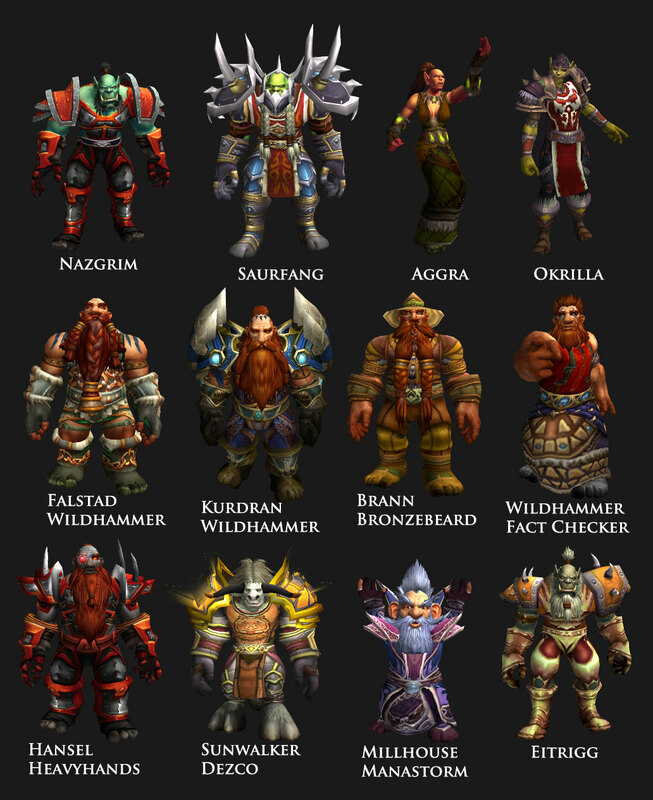 I’d personally like to see these characters again in future short stories in the website, and maybe another graphic novel or short limited series a la Ashbringer and Curse of the Worgen. 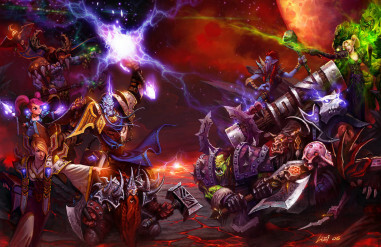 The dysfunctional team happens to grow into something else, united by a new team member whom is not even a Horde race. Doug Wagner presents a very intriguing plot with this new teammate. Expectatives should be really high with this book, because certainly I have my doubts whether it is a simple bluff or whether Blizzard Entertainment is playing with the thought of a new playable race in an upcoming expansion. I totally didn’t see this one coming, not by a long shot. Yet it’s right there, wide open. 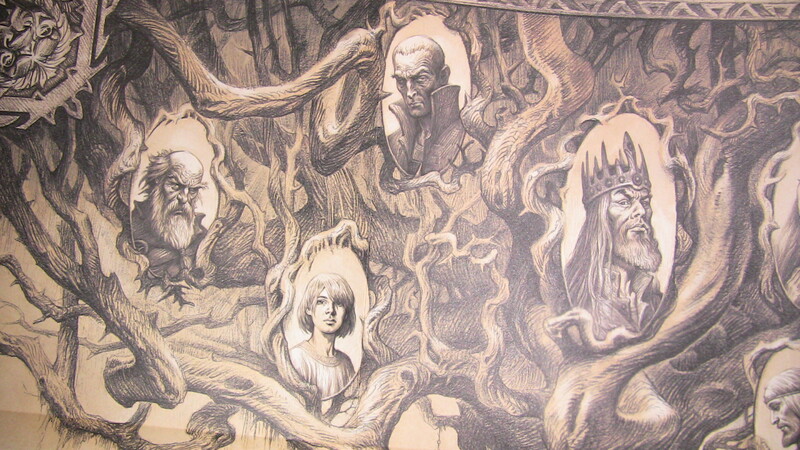 In the canon in his graphic novel. Could it be possible? “Lok’tar ogar! 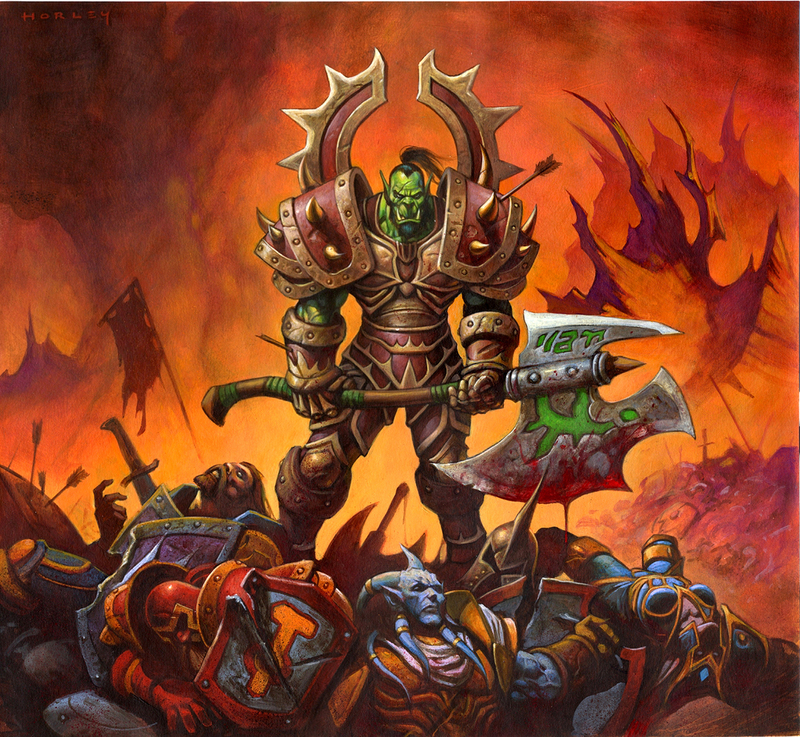 Victory or death – it is these words that bind me to the Horde…” — ‘Nuff said! This graphic novel is going to give you an itch in the back of your mind that can’t be sated until BlizzCon for sure. A race that shares the same controversy as a playable naga race in a different way. 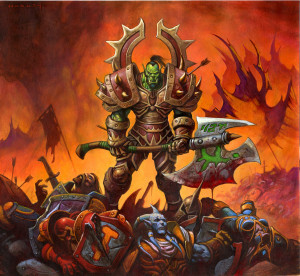 On the artistic side, Jheremy Rapaack totally nailed the Horde artwork. 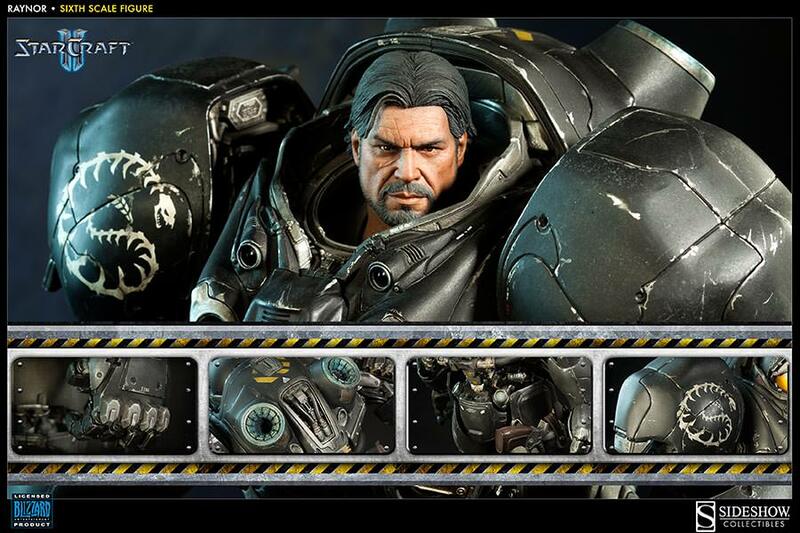 Very rich details in the armor, weapons, faces, hair. 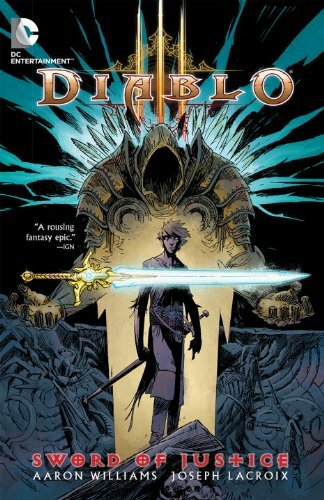 Jheremy was the perfect match to go with this World of Warcraft graphic novel, and I’m glad DC Comics and Blizzard Entertainment signed him to pencil it. Certainly, Jheremy should be in future Blizzard graphic novels, and other projects. Grab your copy of World of Warcraft: Bloodsworn while supplies last. 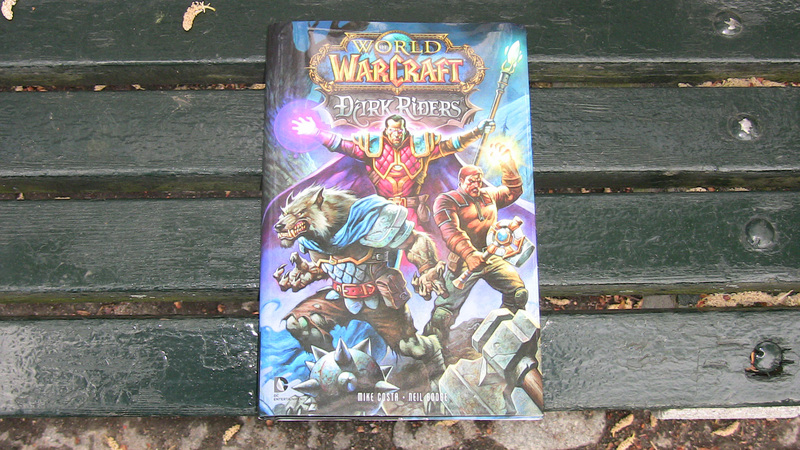 I had the opportunity to read World of Warcraft: Dark Riders courtesy of Blizzard Entertainment (Thanks, Lyndsi). I had waited so long to get this Blizzard licensed product on my hands. 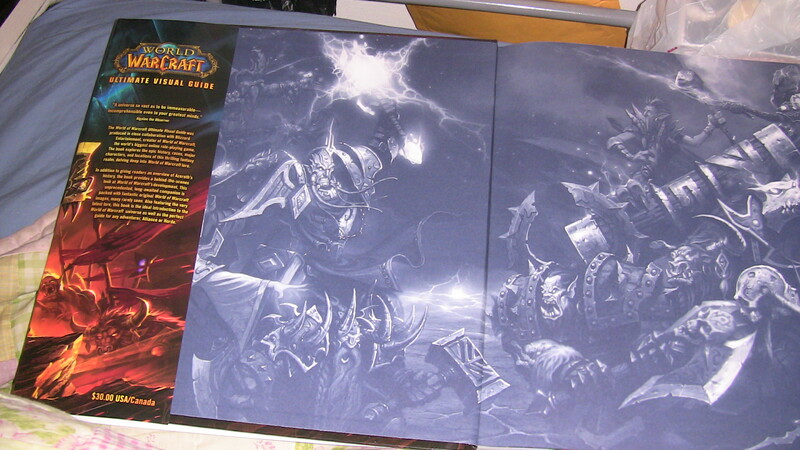 The first time fans heard about World of Warcraft: Dark Riders was at the 2011 San Diego Comic Con. 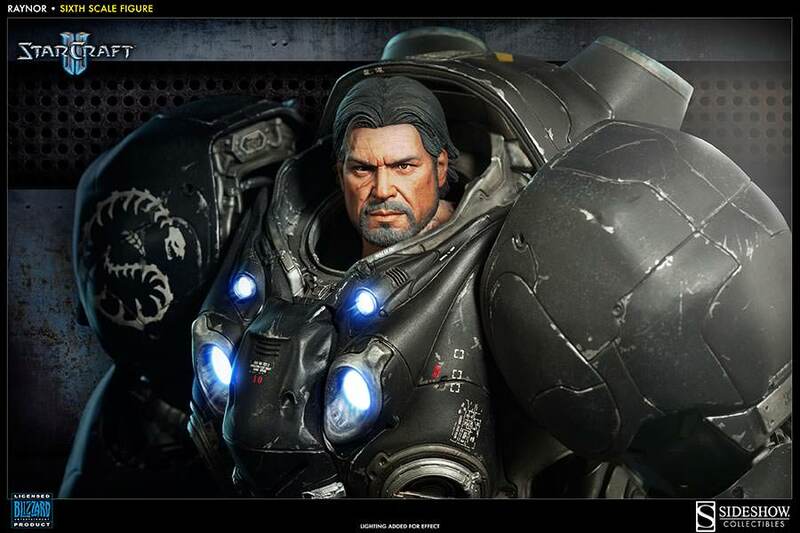 Chris Metzen, Christie Golden, and Hank Kanalz (DC Comics) showcased several upcoming products at the Warcraft, StarCraft & Diablo Swag Show Panel held there. 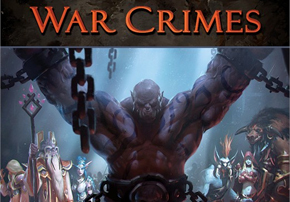 It’s been a while since the launch of the original World of Warcraft ongoing comics series. The series, formerly published by Wildstorm, ended with issue # 25. 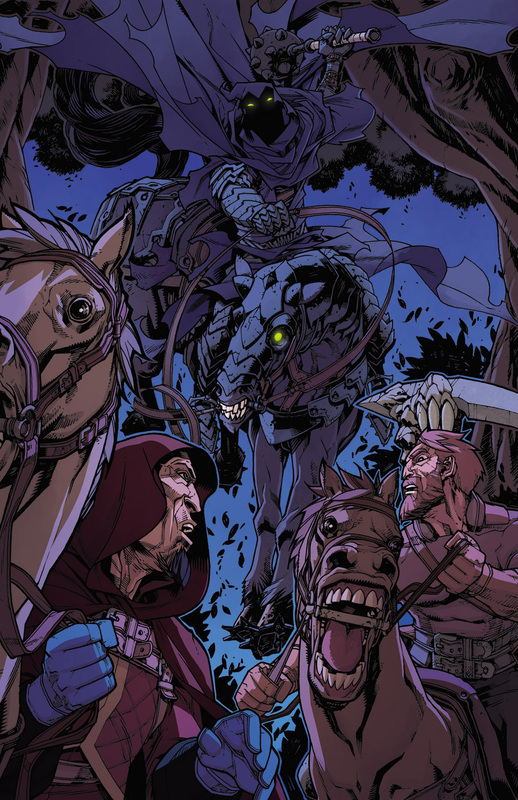 The main characters seen in Dark Riders were originally introduced in the World of Warcraft Special # 1 (Dec 16, 2009). 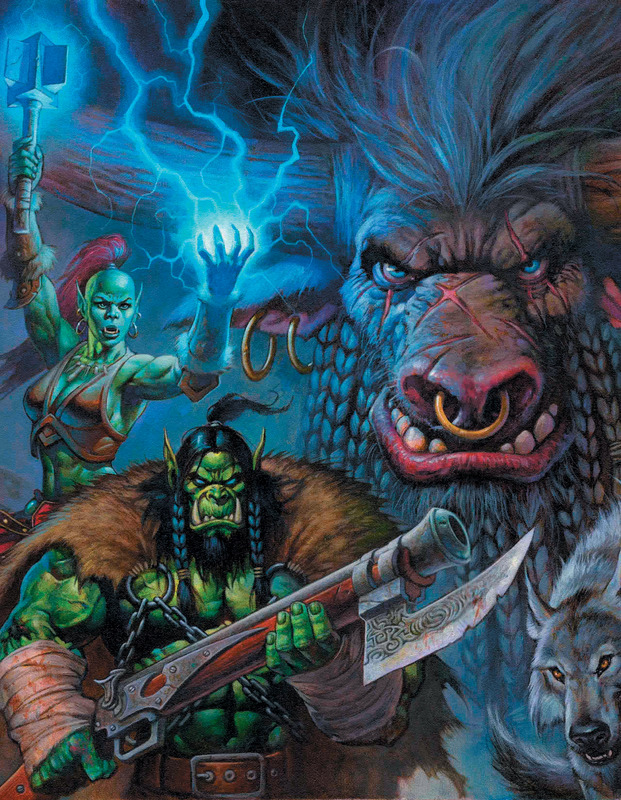 Through advanced solicitations, it was known that two new titles based on the Horde and the Alliance would be launched shortly after the World of Warcraft Special # 1. However those titles never came to see the light. On December 16th 2009, DC Entertainment announced through IGN the World of Warcraft comics had been cancelled, as well as the already-announced Horde and Alliance titles. 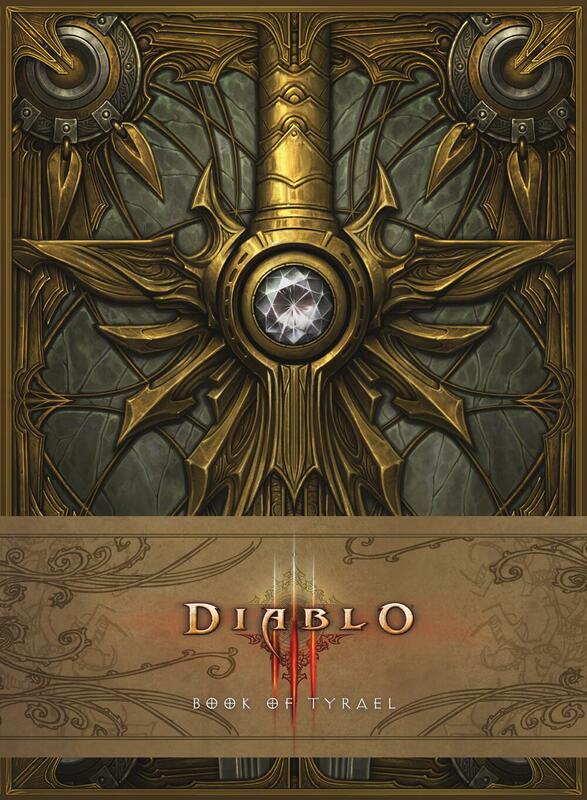 From that moment forward, DC Entertainment was to publish graphic novels based on World of Warcraft. 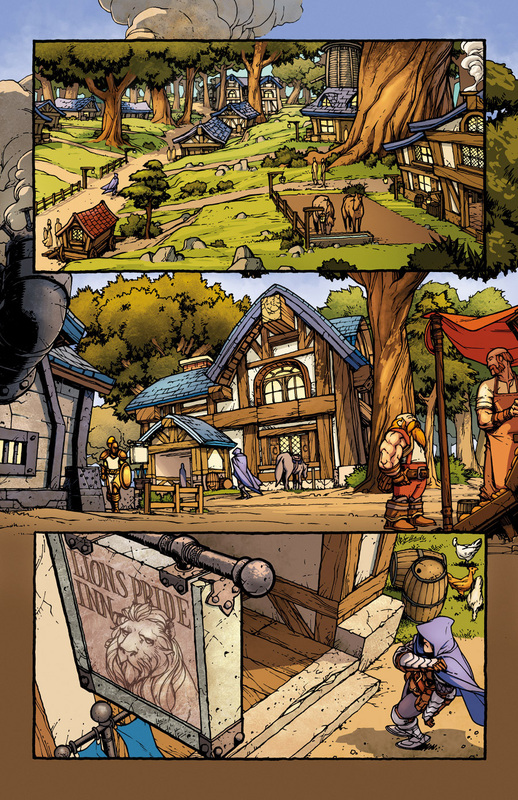 Fast forwarding into the present, the Alliance graphic novel is World of Warcraft: Dark Riders . It is on sale as of May 10th. 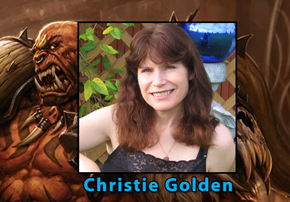 The Horde graphic novel World of Warcraft: Bloodsworn will be available on August 13, but pre-orders are available. The front cover by Alex Horley and Samwise Didier (Blizzard senior art director) looks awesome in glossy paper. It’s actually a book-jacket wrapped around the book. No one will blame you if you wish to frame it. 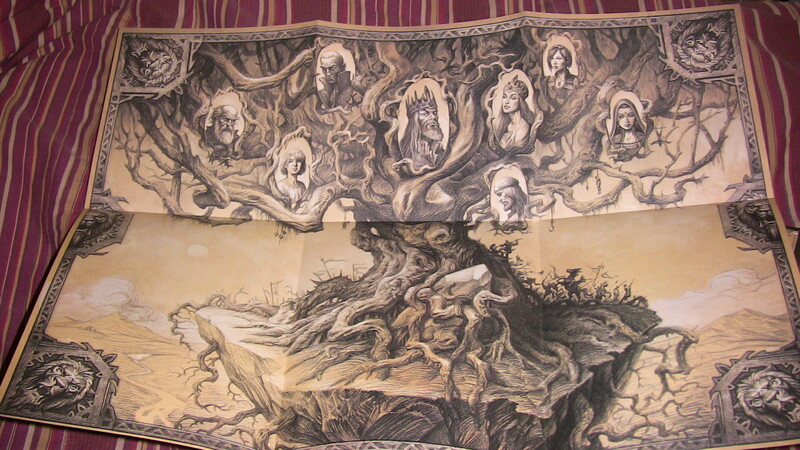 The artwork has canvas texture, or gives the impression it was painted on one. 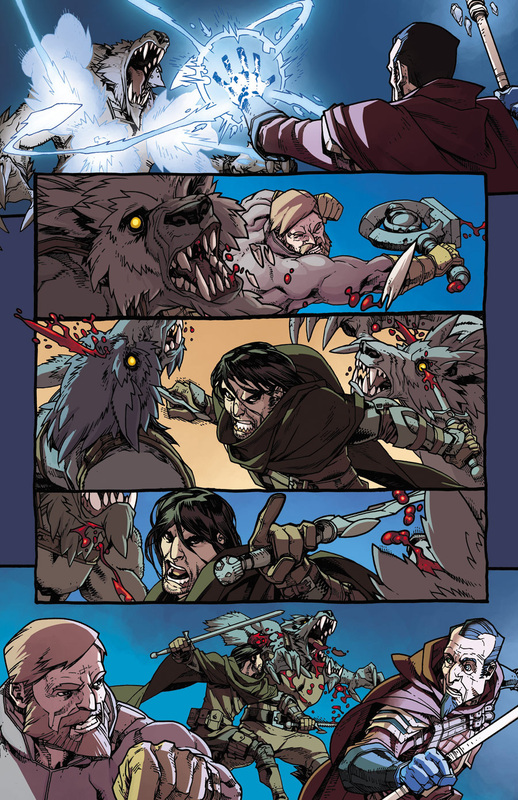 The interior artwork by Neil Googe looks different to what we have seen so far in the World of Warcraft ongoing comics, The Ashbringer , or even Curse of the Worgen . I have a complaint, but that’s just me. 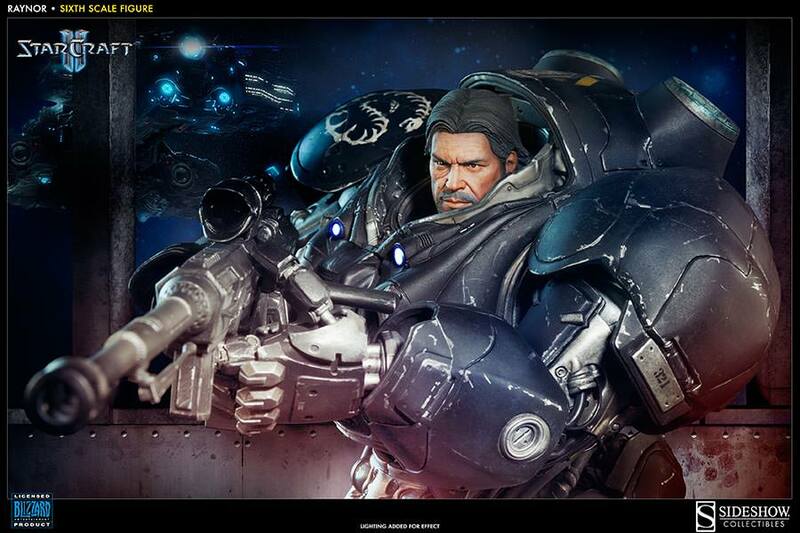 The armor of these Alliance heroes looks too simple. 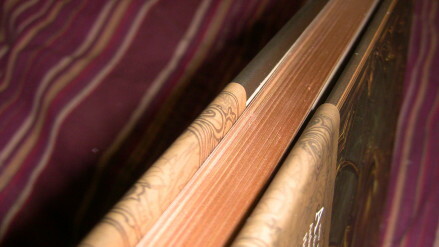 More work is needed to make the printed media and the game mesh further. 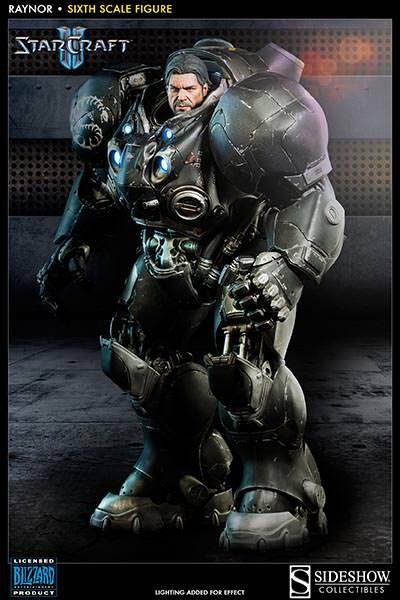 I would have liked to see a really cool armor set for each class, and make the same set of the characters available to players in-game in the challenge mode rewards (for example). The story begins in Goldshire where the two main characters make screen time. Mardigan is a young and reckless man sent by his father, Mage Karlain, to the Lion’s Pride Inn to get a potion from an old friend alchemist. Readers quickly find out about several groups revolving around the core of the story: the Wolf Cult from Darkshire, The Defias Brotherhood in Westfall, and the Dark Riders of Karazhan. In the Tower of Azora, Theocritus summons the aid of Mage Karlain. The Dark Riders have been stealing artifacts of power throughout the region. Theotricus sent the Hand of Azora artifact to Westfall, in hopes of preventing its theft, and sends Karlain there to make sure it stays secure. 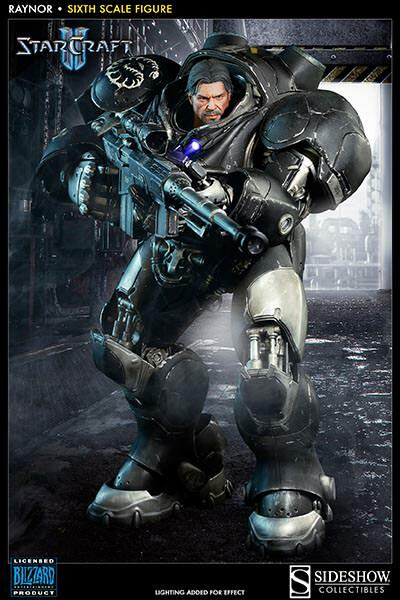 The third character of the team of heroes is introduced in the midst of The People’s Militia in Sentinel Hill. A priest unlike any we have ever seen with a nasty attitude — wait, is there one of any other kind? The story has a nice pace moving from one place to the next, giving the reader a taste of what’s going on. Each character has his own motivation, but their paths are interwoven. All paths leading to the Dark Riders and the artifacts they have stolen. I am usually positive in my reviews, but I try the best for my fanboyism not to cloud my judgement. The title is World of Warcraft: Dark Riders. However, at the end of my read I was left with disappointment. Their origin is explained by Brink, but I don’t know who were behind the masks, or who their new master in the present is, or what the goal to hoard these artifacts is. We do learn these Dark Riders are not related to The Lich King’s Scourge, nor related to Gul’dan and his Shadow Council. Their origin goes way back to the era where Medivh was still possessed by Sargeras. However, none of that explains who the current master of the Dark Riders is. It would have made sense for this graphic novel if the Dark Riders were serving Prince Malchezzar and the artifacts were meant for a ritual to resurrect Sargeras (for example). Other than Karlain, very scarce information is provided about each member of this team. I don’t know where the priest came from, or what organization Brink works for. Considering he is a rogue and knows so much intel, I’d guess his organization is Ravenholdt or SI:7. 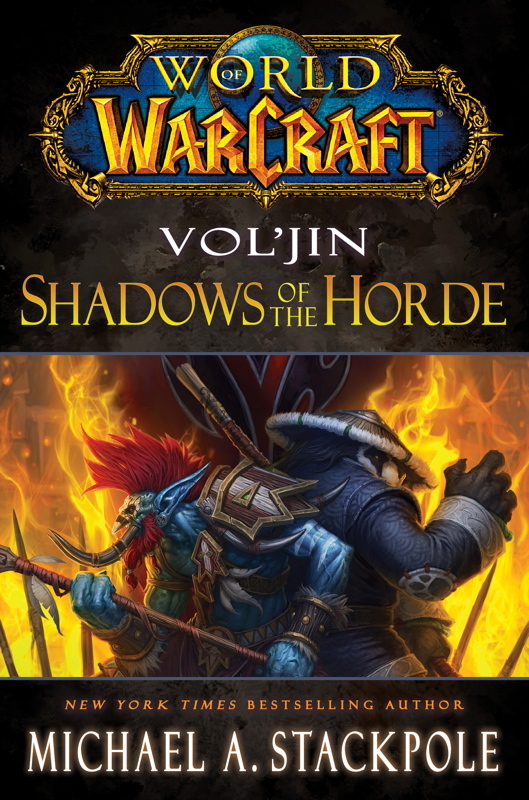 There were so many loose ends in this graphic novel, I can’t but wonder if Blizzard Entertainment intends these characters to appear in an upcoming novel, website short stories (like Project Blackstone), or even wrap up these loose ends in the next expansion. Looks like cliffhangers set there on purpose. The Scythe of Elune was in the hands of the Wolf cult. The graphic novel doesn’t really reveal much about the Wolf cult. We know the Wolf cult deserter in Goldshire had seen something among the Wolf Cult that made him flee. I keep trying to understand what this might be that scared him, but I have no answer. We need megalomaniac villains with long speeches to understand their motives. Kinda too cookie-cutter, but better than the scene where we see Gervase with the Scythe of Elune uttering not a single word. I have a lot of expectations, and love when those are exceeded with a great story. 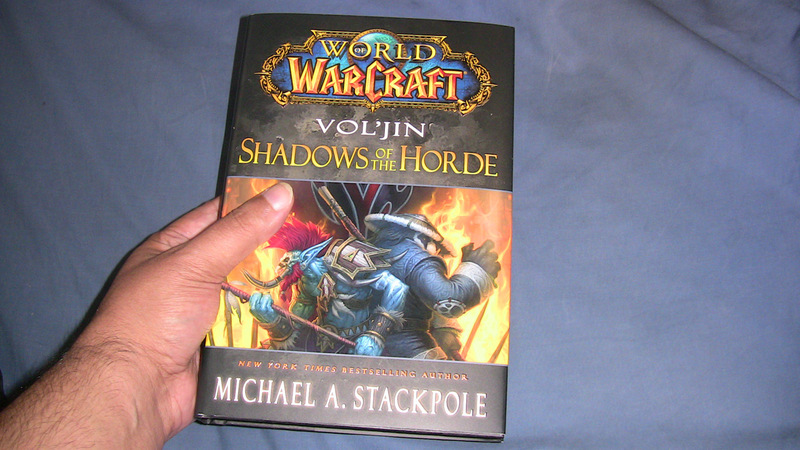 Especially the great stories that the Dark Riders, the Scythe of Elune and the Worgen are deserved to be fleshed out more in this graphic novel. 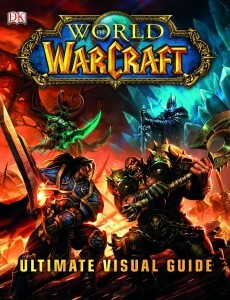 The World of Warcraft: Ashbringer and the Curse of the Worgen are among the top World of Warcraft comics stories I have read. Those are favorites for many fans, not just me. This graphic novel should have exceeded the previous in terms of lore. Lot of stuff we didn’t know about Mograine and what transpired in Gilneas while players accomplished missions can be learned in those two independent stories. That’s the rough part of the review. Now let’s go into the good stuff. This team of adventurers is a wreak. They aren’t friendly with each other, but they learn they need each other if they are to survive the many foes standing between them and their goal to retrieve the stolen artifacts. With a team like this, the author Mike Costa no doubt had a lot of fun writing their dialogues which include tones of comedy, irreverence, and gray personalities. None is truly evil, but not completely good-hearted. Mardigan is reckless and easy to be angered if provoked. He doesn’t need to be provoked, though. He picks on people he feels might be bothersome or staring. He’s young with the heart of a fighter, and headstrong. Karlain is headstrong and rushes in without care. Like father, like son. 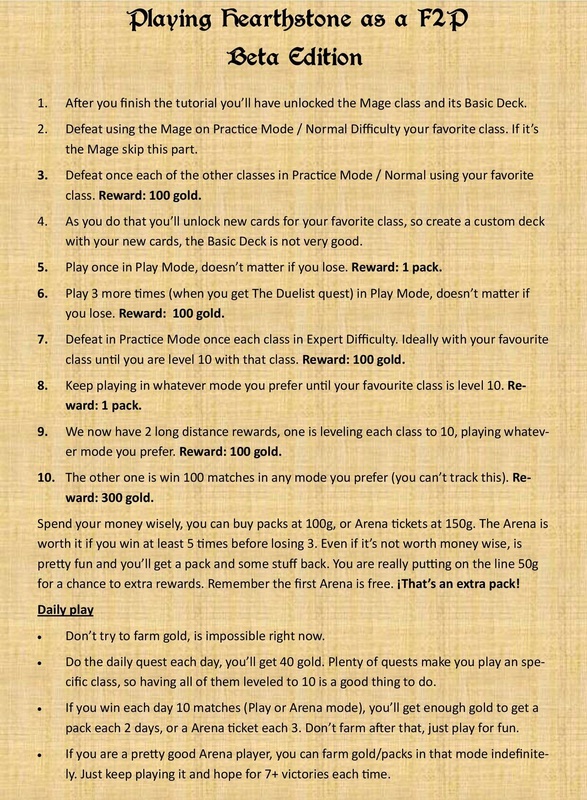 The mage is too confident, self-absorbed and arrogant. A secret he’s kept from his son boils at his core. Revil is the most annoying priest I have ever seen in any printed media. 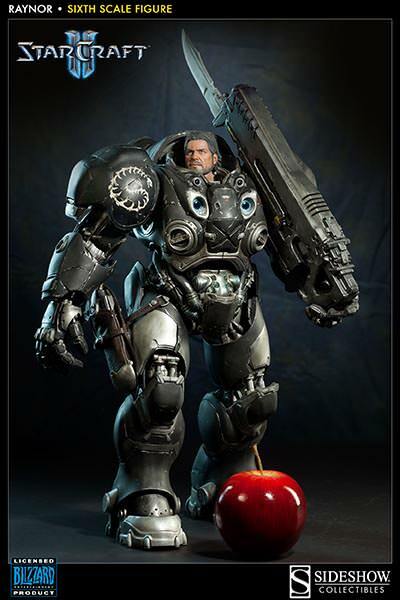 One might wonder if even the Scarlet Crusade would abhor his zealotry of the Light. Revil’s family was killed by the Wolf Cult. This event darkened his beliefs to a degree where he justifies the misfortune of people around him as something the Light approves to happen. An example is a couple of soldiers in Westfall fighting for a piece of bread. One stabs the other. Mage Karlain asks Revil to heal the wounded man, but instead he walks away saying his is not a mortal wound, and the pain will serve as penance for his selfishness. Revil is truly an A-hole. I love him. Brink is an enigmatic gnome rogue. 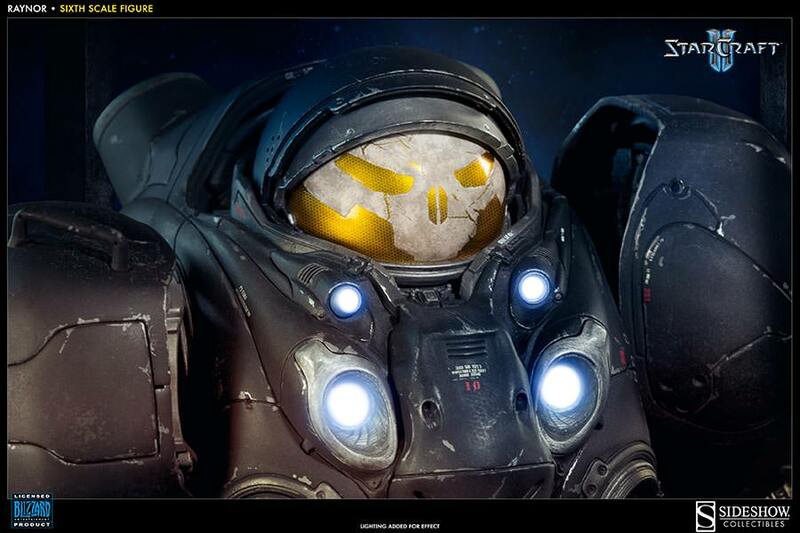 He knows a lot of intel about who the Dark Riders are, and even about the Wolf Cult. He even has deep knowledge about dragons. He’s a box of surprises, and no doubt I might want to hear more of him in the future. But please, open the box so we can learn a bit more. Deal? This team really needed a dwarf hunter, and a Night Elf druid. From what Brink says at the end of the story, he will meet a night elf. I am uncertain of what the timeframe of this story is in relation to the present and other events. I assume Curse of the Worgen happens after Dark Riders based on what happens at the end, but it’s hard to be certain. Regardless, while the graphic novel didn’t fill all of my expectations, the dynamic between the characters, their grey personalities and humor makes this graphic novel a good read. If you think this is a graphic novel for kids, think again. Lot of beheading, cleaving of arms and gore. A toast to seeing these characters again pop in upcoming novels, limited series or website short stories. 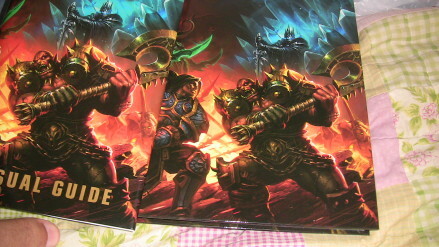 I’m looking forward for the World of Warcraft: Bloodsworn graphic novel (Horde version) and more stories. 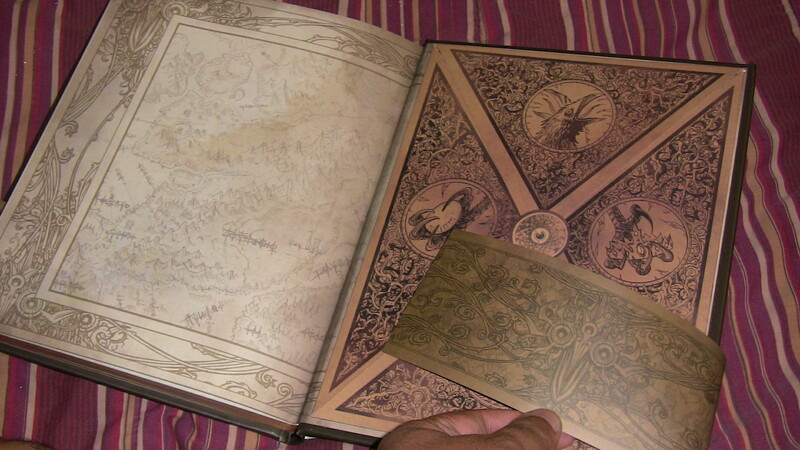 My mind hungers for more Warcraft lore and action. I rarely rate my reviews, because numbers can’t really capture my opinion. An 8.5 only tells you I didn’t find it to be perfect. There was much more the story should have revealed and focused on. On the other hand, it was a fun read and I crave to hear more about these heroes. Get your copy of World of Warcraft: Dark Riders . PC/Mac users can read this graphic novel on Firefox or Internet Explorer by choosing the Kindle link, then ordering the Kindle Cloud Reader version. Do you have an iPad, Android tablet or Kindle? This graphic novel is available for those devices too. 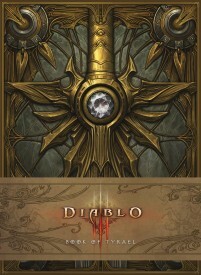 A brand-new original graphic novel featuring characters from the bestselling video game franchise, World of Warcraft! A stalwart mage searches for a powerful artifact, stolen by dark riders, only to find his son accused of murder. A righteous priest, driven by a mysterious fervor, investigates a savage Wolf Cult. As the paths of these two men join, a fantastic adventure emerges! Supported by a cast of brave heroes, the two find out just how dangerous the wolf cult and dark riders are. Justice, Courage, and Faith: These are the pillars of the Alliance. The faction, forged in the aftermath of a brutal and bloody war, has always sought to bring light to the dark corners of the world. Every day, scores of Alliance members travel far across Azeroth, fighting for good under the faction’s banner. Yet other heroes, like the brilliant mage Karlain, begin their battles much closer to home. When his hot-tempered son disappears after being accused of murder, Karlain embarks on a journey that will take him from the dark and misty thickets of Duskwood to the haunted tower of Karazhan. Alongside Revil, an overzealous priest haunted by the past, the pragmatic mage works to uncover a mysterious connection between his missing son and a shadowy organization known as the Wolf Cult. 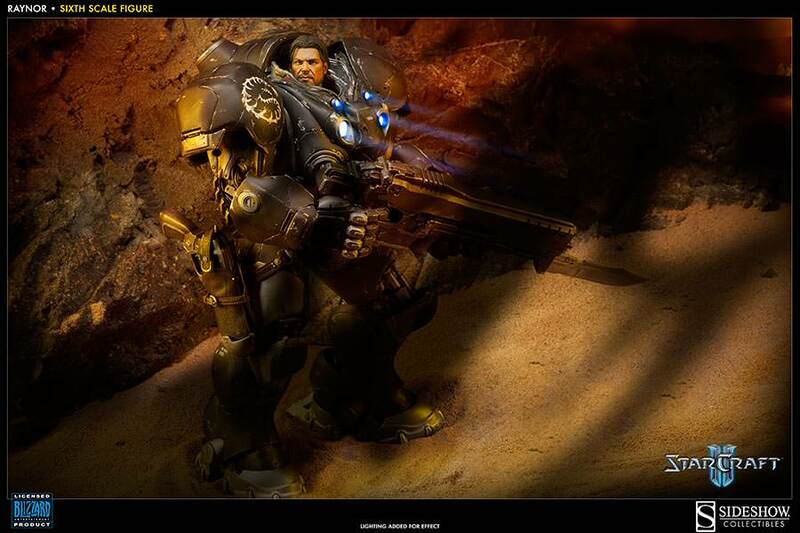 What Karlain and his comrade discover will put their strength and resolve to the ultimate test. To complicate matters, the two men are harried by the Dark Riders, enigmatic bandits who prowl Duskwood and other regions in search of rare artifacts. Only through tolerance and patience can Karlain and Revil restore order to their world… and to their own lives. 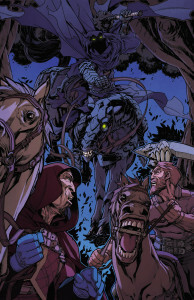 The final pages of “Dark Riders” has a section devoted to pinpoint where characters or topics mentioned in the graphic novel can be traced back in printed media or in-game continuity. 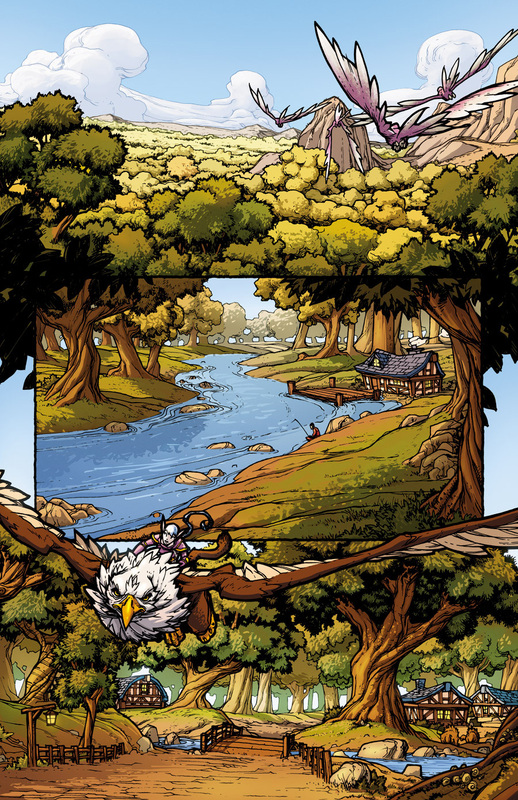 A glimpse into the lives of Karlain, Mardigan, Revil, and Brink before the events of this graphic novel can be found in World of Warcraft Special # 1 by Mike Costa and Pop Mhan (It is reprinted in World of Warcraft vol. 4 and also available in digital format for the PC/Mac and tablets). The origins of the worgen have long been one of Azeroth’s great mysteries. Details about these savage beasts and the mysterious artifact that created them are offered in World of Warcraft: Wolfheart by Richard A. Knaak; World of Warcraft: Curse of the Worgen by Micky Neilson, James Waugh and Ludo Lullabi; and the short story “Lord of His Pack” by James Waugh (available on the WoW website). Both Curse of the Worgen and Wolfheart are available in paperback, digital book and audiobook formats. Follow the links. Apart from the Dark Riders, other legends abound concerning Karazhan and the infamous Medivh, former Guardian of Tirisfal. More information about the haunted tower and its prior master is revealed in Warcraft: The Last Guardian by Jeff Grubb (of Dragonlance, Forgotten Realms and Magic: The Gathering fame). 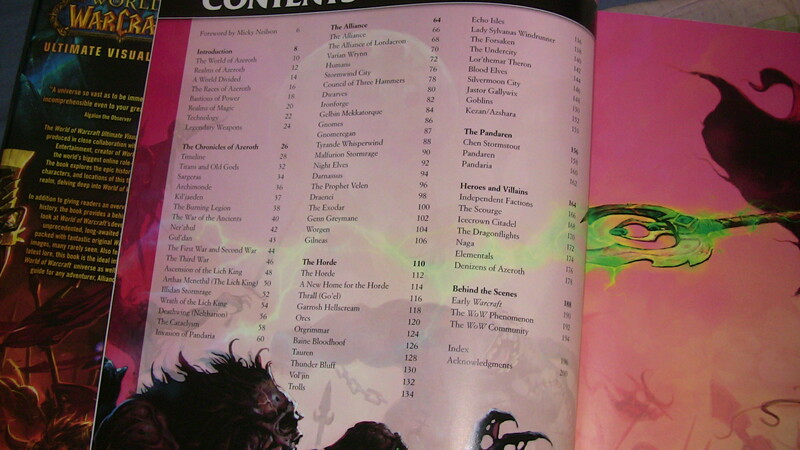 Warcraft: The Last Guardian was reprinted in a volume containing several Warcraft novels. You should order the WarCraft Archive . Marshal Dughan, the stalwart defender of Elwynn Forest, makes an appearance in World of Warcraft: Stormrage by Richard A. Knaak, when he succumbs to the dreaded Emerald Nightmare. The book is available in paperback, digital book and audiobook formats. The writer of “Dark Riders” is Mike Costa. He is written The Secret History of the Authority: Hawksmoor (Wildstorm, 2008), G.I. Joe (2008), Transformers: All Hail Megatron (2008), Resistance (2009), Transformers: Ironhide (2010) Hack/Slash (2011), Blackhawks (2011) — to name a few. 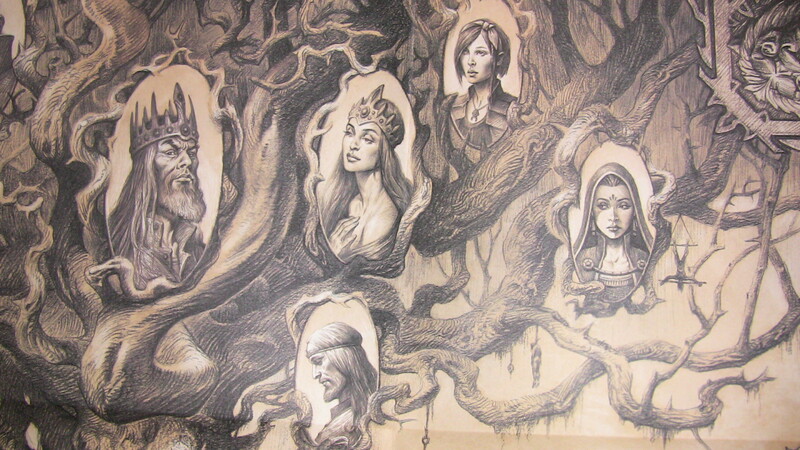 Neil Googe is the artist behind each “Dark Riders” panel. He is penciled for several comics since 1997. Shotgun Mary: blood Lore, Judge Dredd, X-men Unlimited # 41, Majestic, Wildcats: World’s End and more. Colorists: Pierre Matterne, Lee Loughridge & Len O’Grady. 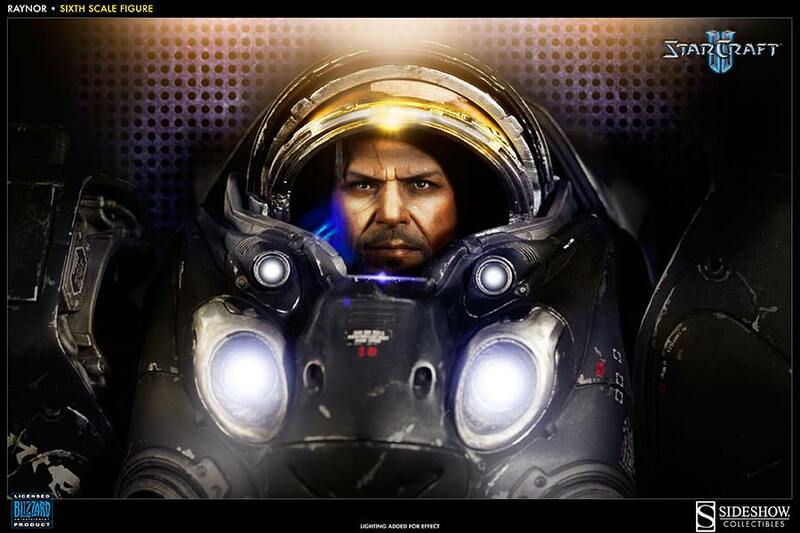 Story Consultants: Chris Metzen & Alex Afrasiabi, Luis Barriga & Micky Neilson. 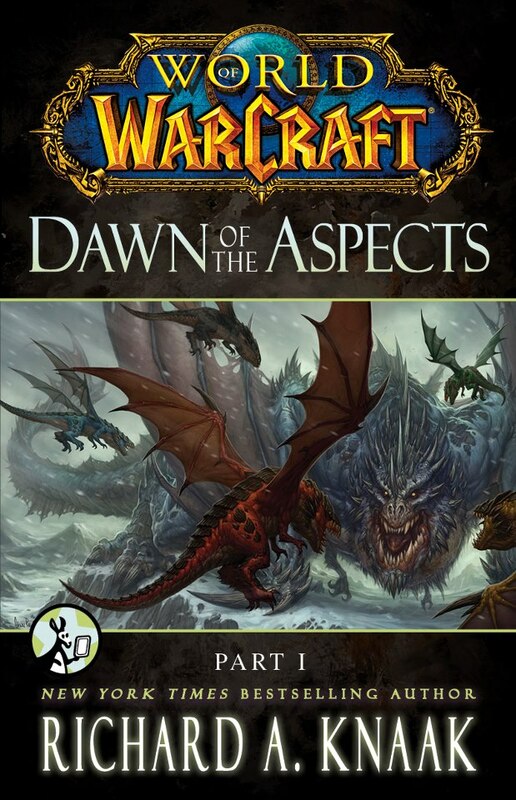 The World of Warcraft: Dawn of the Aspects: Part III (only $1.99) is now available to be read online on your PC/Mac via the Amazon Cloud or on your Kindle device, iPad or other mobile device. (Look out for Free Reading Apps for those without a Kindle device). The big reveal: Watcher Tyr is on the spotlight. As seen in Part 1 (of 5), Kalec found a relic beneath Galakrond’s skeleton that triggered a series of flashbacks in his mind, as if the artifact had a mind of its own. The flashbacks show Malygos playing detective and hunter, spying upon the proto-dragon Coros and the behemoth Galakrond. Jaina Proudmoore has communicated often with Kalec in the previous Dawn of the Aspect parts, but in Part III she takes a more active role as she comes in person to the Nexus to find out what’s wrong with Kalec. Unbeknownst to Kalec, while he was unconscious witnessing Malygos’ past, Jaina had found the relic within the Nexus. She identified its spellwork as that of Titan origin. Jaina has knowledge of the Keepers of Ulduar — remember this story happens shortly after the Purge of Dalaran (Patch 5.1). The hooded humanoid haunting Kalec in the present and Malygos in the far past is revealed. It’s a keeper. One of Ulduar Watchers. We were right all along with the clues. It is Watcher Tyr. As a continuity nod, Tyr refers to the land as Kalimdor, even though they are in Northrend. This is because The Sundering that caused the flooding of the seas and the Maelstrom is yet to happen several milennia later. The lands we know as Kalimdor and Eastern Kingdoms was formerly a massive continent in this time period. Jaina is abruptly teleported to the skeleton of Galakrond at the spot where Kalec earlier dug the relic from. Buniq (wiki) — the spirit of the female Taunka talks to Jaina. This taunka died in the pages of Warcraft: Legends Vol. 3: Fiend (Tokyopop manga). We have read so far three parts out of a total of five in this monthly-format. I like this new format. Costs only $1.99, and keeps you hungering for more. On the other hand, reading in increments of only 30-50 pages allows you to read in one sweep, and resume your daily chores in real life and in-game. Reading 387 pages is a daunting task that might take up to six hours or longer depending how fast people reads. So, reading it in short amounts is flexible. In this third installment, we finally see the hooded figure. Watcher Tyr shows himself before proto-dragon Malygos. The Watcher has been able to stealth his presence even to Kalec and Jaina, who are among the top spellcasters in Azeroth. In the far past, Tyr admits he has watched all of the proto-drakes for a long time. The other watchers keep to themselves secluded in Ulduar, without interacting much with the daily affairs of lesser creatures outside. Tyr observes the outside world. It’s implied the Watchers have been experimenting, and Galakrond is somehow consequence of what the Watchers did or lacked to do. It’s not yet clear in Part III. So far we know that Galakrond was the same size as any other proto-dragon, but something caused him to grow massively in size. Worser yet, he has a dark hunger that causes him to eat other proto-drakes. These are raised as no-living or undead proto-drakes after he pukes them out of his gullet — serving him as mindless drones. I think there is much more to this than what has been revealed thus far. Keep reading Part 4 (May 20) and Part 5 (June 22). I can’t wait to learn more about Watcher Tyr in the far past, and even more important — why is Watcher Tyr watching Kalec and showing him from afar the visions of the past? Why did Watcher Tyr teleport Jaina from Dalaran to the bones of Galakrond? It all seems as if something dire from the past is about to happen in the near future, and Watcher Tyr requires the help of mortals. Doesn’t it all sounds like a groundwork for the upcoming unannounced expansion? 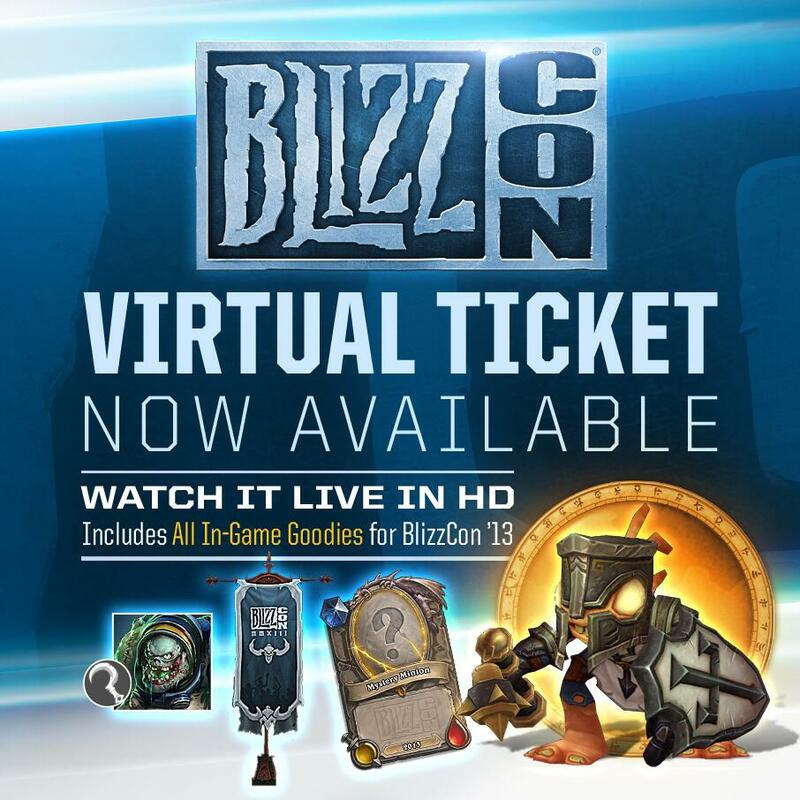 Hint: BlizzCon 2013 might announce the next World of Warcraft expansion. 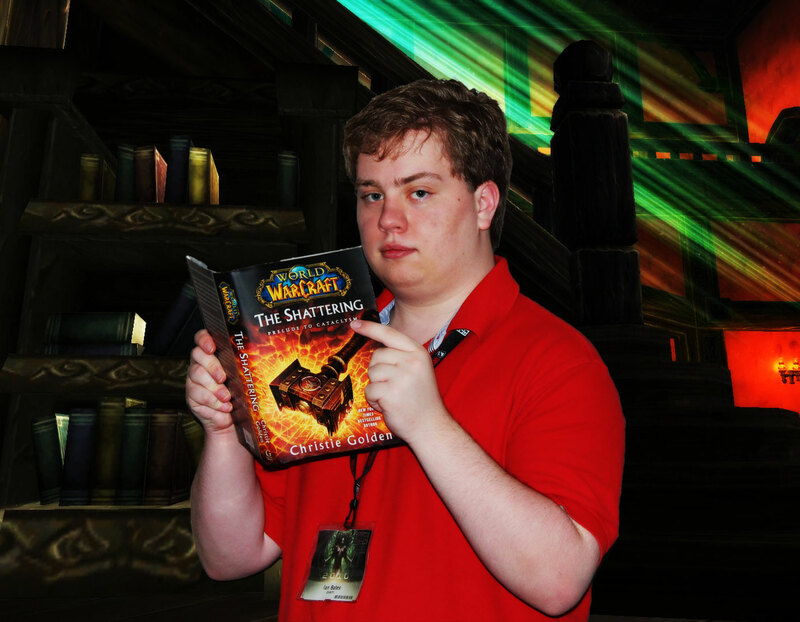 “The Cataclysm changed Azeroth and its myriad peoples in many ways. Dawn of the Aspects depicts the uncertainty that now plagues the ancient dragons. But what lies ahead for the world’s other races? 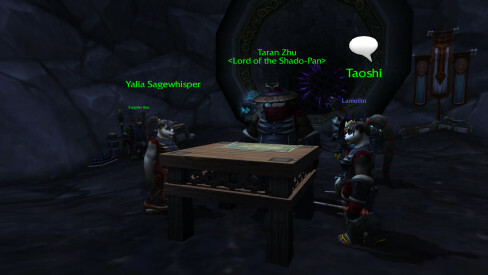 In World of Warcraft’s fourth expansion, Mists of Pandaria, you can help shape this next chapter in Azeroth’s history. Become one of the first members of the Horde or the Alliance to explore the mysterious and exotic continent of Pandaria. 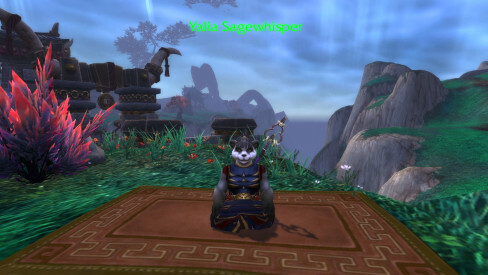 Or take on the role of a noble pandaren (WoW’s latest playable race) and join the Horde or the Alliance, depending on which faction aligns more with your ideals. Regardless of the side you choose, your adventures will impact Azeroth in the years to come. With the dragons forging new destinies for themselves, the task for safeguarding the world from evil has fallen to mortal hands — your hands. Will you rise to the challenge? 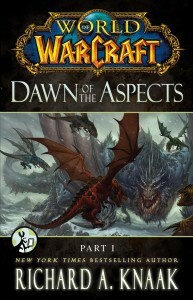 The World of Warcraft: Dawn of the Aspects: Part II will be available to fans on Monday, March 18th. Order it now, and get an alert when it’s ready for download on your favorite mobile OS or on your favorite internet browser. I find amusing Richard A. Knaak’s way to tell the story. 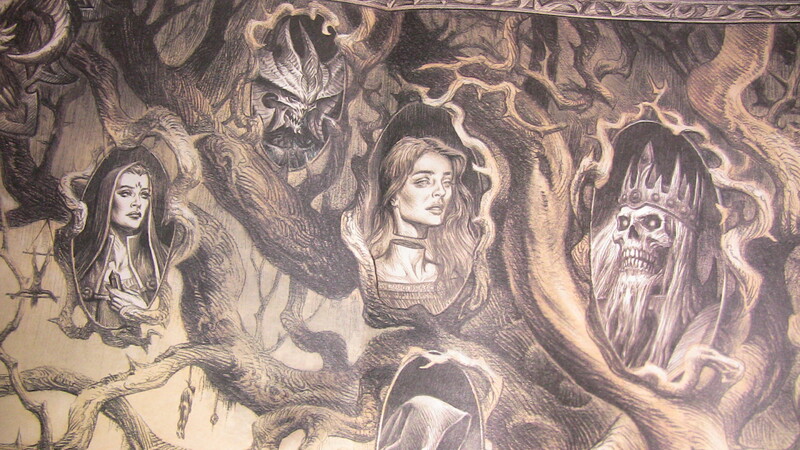 It’s as if we, the readers, were a passenger on Kalec’s mind — who in turn is a passenger on Malygos’ mind and eyes. I have to admit it’s hard to review pieces of a story, one piece at a time, instead of the whole story. Part II of Dawn of the Aspects leaves more questions than answers. The hooded figure appears several times throughout the story, but still no trace of who this humanoid might be to be confirmed. 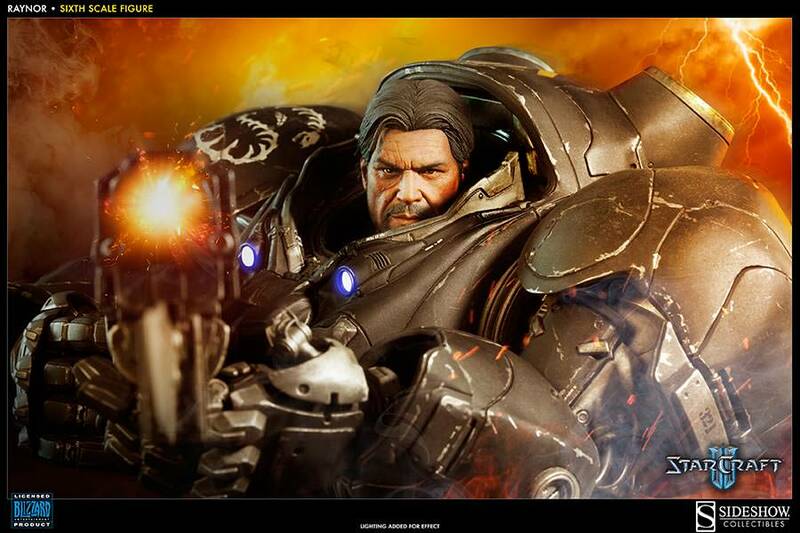 What some fans have speculated is this character might be Ulduar Watcher Tyr, but so far there is no evidence to support the theory. The origin of the undead proto-dragons is still a mystery — other than these are the proto-dragons swallowed, then puked lifeless by Galakrond. We learn Galakrond was like the other proto-dragons, but no answers on how he became into a hulking behemoth. I have read fans speculation that the Old gods might have something to do with that. In this era, there were several proto-dragons of colors we aren’t aware of, but there were also other smaller proto-dragons that Malygos considered as lesser animals without their intellect which needed to be herded and protected. Interesting. Jaina appears, a couple of times, communicating with Kalec through their magical link. Coros the blue-green proto-dragon appears often, and we might learn why Malygos distrusts him, with good reason. We learn the brown proto-dragon’s identity: Nozdormu. Alexstrasza, Ysera and Neltharion have plenty of screen time in Part II. I find it interesting that Richard A. Knaak explores the close friendship between Malygos and Neltharion in this early age of Azeroth. Remember, Neltharion wasn’t a dragon aspect in this age, and thus he wasn’t the earth-warder yet to have been corrupted by the Old gods. That doesn’t mean Neltharion didn’t have his cunning and core personality in the baggage back then. Something revealed in Part I, the proto-dragons were born in batches of three. Alexstrasza and Ysera were born from the same hatch of eggs. A third male brother was born. He seems to have died, devoured by Galakrond. I recommend to read part II, even when our questions aren’t addressed yet. That’s mostly a byproduct of the story being split into a 5-part online book. The third installment will be available on April 22, 2013. In their most primitive forms, the future protectors of Azeroth must stand united against Galakrond, a bloodthirsty creature that threatens the existence of their race. But did these mere proto-dragons face such a horrific adversary alone, or did an outside force help them? Were they given the strength they would become legendary for . . . or did they earn it with blood? Kalecgos’s discoveries will change everything he knows about the events that led to the . . . DAWN OF THE ASPECTS. Powerful visions of history torment Kalecgos, forcing him to witness Galakrond’s brutality firsthand. The ravenous beast terrorizes ancient Kalimdor, consuming everyone in his path. The original Aspects and other proto-dragons struggle to temper their savage rivalries long enough to make a stand against their merciless enemy, but their efforts might prove useless. A horrific new threat is rising from Galakrond’s shadow: the undead. Apart from this chilling discovery, Kalecgos is troubled by a mysterious hooded figure from the distant past who appears in the present, pushing the blue dragon’s sanity to the breaking point. Malygos flew alone again, the proto-dragon warier than ever. Thanks to images flashing through Malygos’s mind, Kalec quickly understood why. The proto-dragon flew over lands to the east, where there had been several sightings of the not-living. 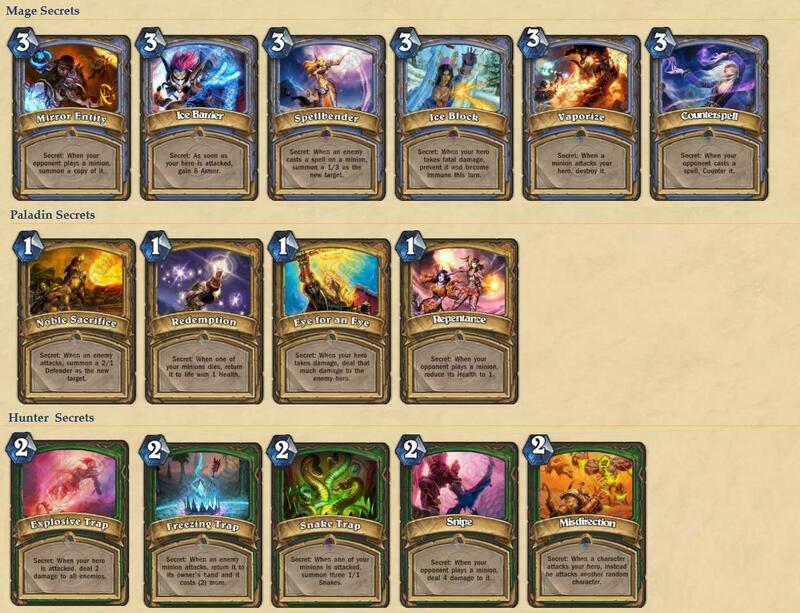 However, as with many other things in previous visions, the exact reason why Malygos was scouting on his own was not so apparent. As with the last area the proto-dragon had flown over, the landscape below appeared empty of animal life. However, in this bleak place, neither Kalec nor his host had expected to see many beasts. Still, Kalec gathered that Malygos had seen absolutely nothing. Alighting on a low peak, Malygos peered around. More thoughts crept through Kalec’s mind, filling in some missing pieces. Malygos sought the reason for Galakrond’s frightful transformation into this hungry fiend terrorizing all, and he sought it very near where the behemoth kept his lair. Kalec questioned the sanity of what Malygos desired but had no choice but to hope that Galakrond was far, far away. Malygos believed that to be the case, but both were aware that there was a chance he was wrong. Malygos’s heart pounded from tension as the proto-dragon drew nearer to where the lair was presumed to be. The peaks there were so tall it seemed that they were trying to touch the cloud-enshrouded sun. Such giant mountains would be likely to provide caverns large enough to house a monster the size of Galakrond. Something below caught Malygos’s attention. He dived toward it. At first, Kalec saw only rock, but then he realized that a portion of that rock was of a disquieting and familiar color. The bones had lain there for some time, possibly four or five seasons. Those that were visible indicated a beast as large as many proto-dragons—or, as Malygos discovered after scraping away the earth from one area, it was an actual proto-dragon. This one had perished violently. Many of the bones were cracked, and the partial skull that verified just what lay there had been crushed by a tremendous force. Galakrond, Kalec knew. Here was an early victim. While to him it only served to show just how long Galakrond had been on his murderous rampage, Malygos evidently saw something more in the bones. Although no one had yet witnessed how Galakrond reduced some of his victims to emaciated corpses that would rise as parasitic undead, the evidence of their existence was without question after Malygos’s battles. Yet Kalec now wondered, if this was one of the leviathan’s prey, why had it not transformed as the others had? Silence reigned about them, but something made Malygos look to his right. To Kalec’s observation, there was nothing to see. 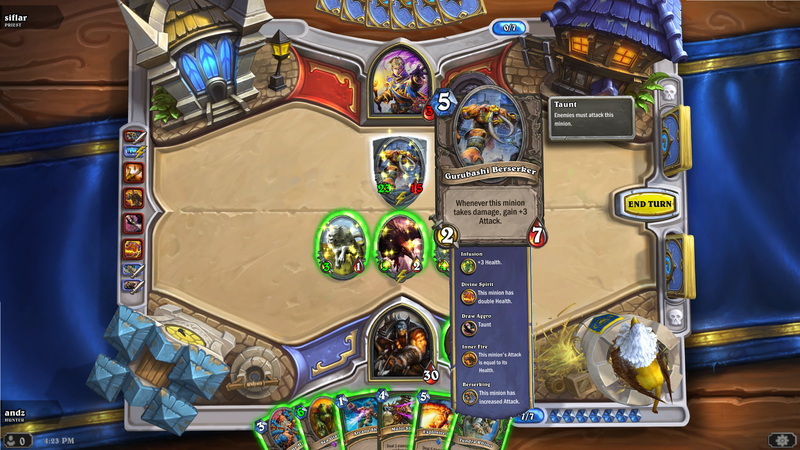 Even a proto-dragon as courageous as Malygos could not be blamed for being jumpy under such conditions. Returning to the bones, Malygos nudged a few around. With little exception, they revealed that Galakrond had ripped apart and chewed up this unfortunate creature. Malygos’s memories of a much smaller but still imposing Galakrond briefly arose, giving Kalec a startling glimpse of how the latter had changed. Galakrond as seen in the earlier stage had looked much more like a normal proto-dragon and not nearly large enough to swallow others whole. His body also had had a smoother, streamlined appearance. His coloring had been more muted, and the eyes had not had that incessant hungering look to them. Malygos continued to ferret around among the bones, seeking clues. It was yet another hint—not that Kalec needed one—of how intricate his host’s thinking was compared with that of many of the other proto-dragons. Somehow, he survived, the disembodied blue thought. Somehow, some of them survived… but how? The proto-dragon tensed again. This time, Malygos looked skyward. To the east, a shape already far too massive to be a normal proto-dragon raced toward the mountains—and Malygos’s position. The mountains were too far away for Malygos to reach before he would be seen. Kalec’s host had no choice but to flatten himself out where he was. His coloring did not blend with the land, but the hope was that Galakrond would not fly near enough to notice. A constant, heavy beat preceded Galakrond, the sound of his vast wings flapping. Malygos knew that with each beat, the gigantic proto-dragon crossed miles. The beat grew louder, closer. Malygos and Kalec knew that Galakrond was almost upon them. But then the beat began to recede. Through narrowed eyes, Malygos watched Galakrond head away from him and toward the mountains. However, just as the icy-blue proto-dragon dared draw a new breath, Galakrond halted. Hovering, the behemoth suddenly began heaving as if choking on something. Neither Malygos nor Kalec paid much mind at first to whatever assailed Galakrond, the giant creature’s physical appearance drawing their initial attention. Although it could not have been that long since the vision in which they had previously encountered Galakrond, Kalec was especially stunned by how much more misshapen the fiend had become. 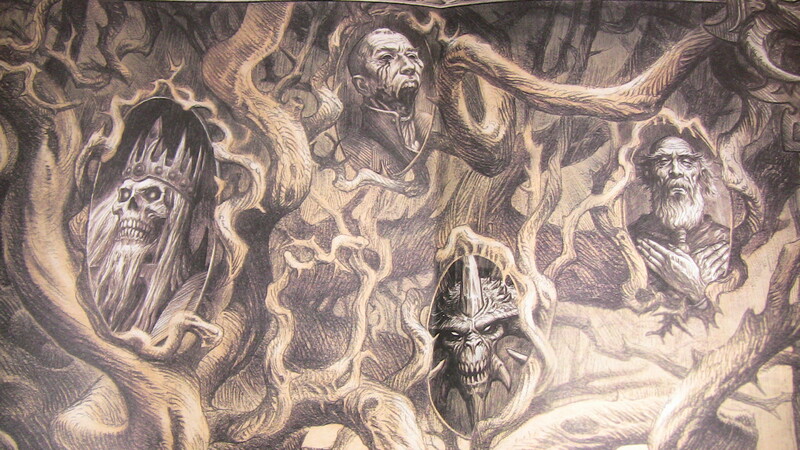 Not only was Galakrond oddly distorted, but he now had several growths randomly dotting his body. There were also a number of gray splotches that made it seem as if parts of Galakrond were decaying. But just as Malygos and Kalec came to grips with this new, deformed Galakrond, the monster disgorged what had caused him such distress. Bodies. More than a score of shriveled, limp proto-dragon bodies. They dropped in a horrendous heap to the ground, some flopping about as they struck. Malygos radiated immense distress at the sight, not only because of the awful slaughter but also because among the limp forms, he saw red, brown, gray, and even greenish-yellow bodies.